"How can we innovate an otherwise dull genre?" Indie studio Dead Pixel Entertainment has lifted the lid on Sync, a first person shooter for the Wii U eShop which aims to channel the spirit of Metroid Prime and provide a AAA experience at a budget price. Speaking to Nintendo Enthusiast, Dead Pixel shared some details on this new title, as well as its other project, Starbeast. Sync is set in a sterile world dominated by robots, and won't hand-hold the player too much — Dead Pixel is keen to allow players to find their own way in this immersive environment. Sync is a Sci Fi First Person Adventure similar to the Metroid Prime series. We, at Dead Pixel, believe anyone who loves the Prime series will love Sync for it’s open world gameplay and unique item collection. Players are thrown into a mechanical world where robots have become the dominant species. Players are tasked with locating data stations and uploading a deadly virus to destroy Sync, a computer system, from the inside. Given orders from an unknown group that calls itself Gensys. 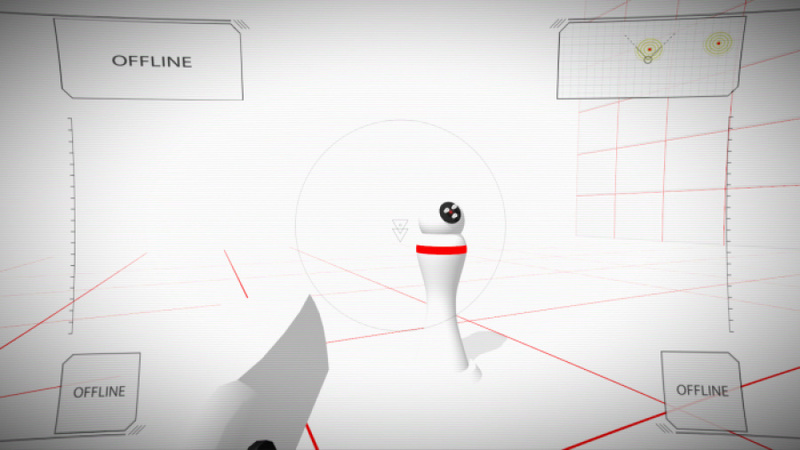 The player must focus his/her efforts on finding these terminals with little direction to complete their mission. The screenshot shown above is the result of just two weeks work, and shows that the game already has a distinctive art style. The team expects the game to launch on the Wii U eShop later this year at a price point that will "surprise" gamers. Starbeast is Dead Pixel's other major project, and is a horizontal shooter with lofty production values. The types of games we plan to make are very artistic in design, also very innovation in mechanics. With Sync (Starbeast and our other games planned) we asked ourselves a very important question: How can we innovate an otherwise dull genre? After finding an answer to that question, we build upon our ideas until we find something unique and fresh then move into production. When it comes to designing games, a lot of people in the industry try and follow trends… we are aiming to create them. We chose the Wii U for that reason exactly. The visuals are fantastic. Control options are limitless. It has the Nintendo Seal of Quality. We believe our games will benefit from the Wii U more so than they will from the PS4 or the XB-ONE. What do you think of these games? Let us know with a comment. Sounds promising, but most studios are going to big up their ambitions when pitching. Can't wait to see how it actually turns out. I'll keep it on the radar. Haven't thought about a FPS in years, but I'm happy to support the indie devs who put in the effort. 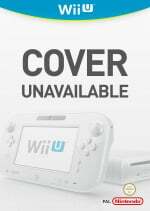 Hopefully they will also utilise the superior control scheme of Metroid Prime on the Wii. Reminds me of Portal and that's a good thing; I love 2D shooters so win and win! actually looks intradesting. Maybe we'll hear more in the next direct. Sounds really cool. What other games has the devs worked on, if any? Big words, big words indeed. Can't wait to see the result. It reads to good to be true and with a graphical style like that you better have the overall atmosphere match up. Like @Sean_Aaron i'd like them to implement Wii Remote maybe Wii Remote Plus controls. GamePad scanning should not be overused since i don't think it'd be too great to hold it up to your TV every two minutes or so. It should feel special, not like a chore. Can't wait to hear more about this and Starbeast. Sounds interesting, looks cool. I'd love to a trailer first, but it seems to be very promissing. I'll buy it right now!!! It's looking a little too sterile at the moment but the concept is interesting. Ohh. This must be... the snow level! for first and 3rd persons 'whatevers' it's wii remote/pointer controls or nothing for me. Although, ZombiU has been an exception to the rule since it's a huge innovative showcase based on what the Gamepad can actually do. Otherwise, i want a metroid prime 3-like expereince, none of this silly twin stick shinanigans. Not only is the first person genre itself becoming extremely dull, but it's also typically backed up by a dull control scheme. Metroid Prime 3, Golden Eye 007(Wii) and Red Steel 2 are the cream of the FPS controlling crop. Inspired by metroid prime? I'm in. Bring it on! 2 weeks of work? Not bad, but it sounds a bit too ambitious for it to release at the end of the year. I've given up on seeing another Prime. Goodluck to ya on this one. Will wait for a review or actual footage before ill get even remotely excited! @WaveBoy Totally agree! Pointer controls or it better be like no less then a 9 out of 10 for me. However the frist 2 primes did the controls right for the Cube! I love the enthusiam this team has, and the game itself sounds really interesting and fun. I'll be checking this out for sure! Gimme Metroid, or giimme it's clones. I'll take whatever! I would need to see that art style in movement. But I guess it could be fun. I'll wait to see some gameplay. As long as it's actually inspired by Metroid and not a shameful carbon copy of it like ReVeN, then I may buy it. Definitely keeping my eye on this developer. Both games sound pretty intriguing! Whoa!!! I gotta get this! "We believe our games will benefit from the Wii U more so than they will from the PS4 or the XB-ONE." - that's the spirit! Anyone who actually paid any attention to ReVeN's development on Kickstarter knows it's more than a simple Metroid clone. Yeah, it's got a lot of Metroid's elements, but they also add a lot of their own ideas. "It has the Nintendo Seal of Quality." That alone got my attention!!! Any game that takes inspiration from Metroid Prime is a game I'm going to follow closely. It'd be nice if the game suports Wiimote+nunchuk controls. Um, YES!!! If Nintendo won't give us a new Metroid game, I think Dead Pixel DEFINITELY should!! @Damien , This is an FPA Game, not an FPS. ooooookaaaaay! Finally an indie game (or any game) that I want to play!!! Well now, Dead Pixel Entertainment has my attention. Keep my ear to the ground for this one. FPS announced on another console - who cares? I hate FPS games. FPS announced on Wii U - This looks so awesome! I can't wait to play it! To me it seems like a blend between Metroid, and P.N.03. While I do agree it looks rather sterile, it looks promising as well. (in chancellor Palpatine's voice) I'll be watching the development of this game with great interest. Oh this looks extremely tempting. I'll definitely be following up on this title. Nintendo, give this team some help. How many WiiU eShop exclusives are there, really? And by "some help" I don't mean "a trailer on your Youtube channel". Is there a tree these indie games are growing on or something? Every day I come to this site, I read about more indie games coming to Wii U. Surely not all of them will be good, but at this rate it doesn't matter. Just the sheer numbers will ensure we get plenty of great games. Even if 3-5% of these indies are worthwhile, I think we'll be set. When folks said indies would take the place of 3rd parties, I was skeptical. But more and more I'm beginning to agree... these indies aren't just your ordinary 8-bit throwbacks. Some are, but many are very well developed, high production value games. Keep em coming! It looks awesome, and I love the fact that it's a Wii U exclusive. Make it awesome, then take my money. I get the feeling this game will be cancelled down the road. But here's to good fortune. Also, from reading about this in NintendoEverything seems like it will be more Portal with the open worldness of Metroid Prime (basically any FPS that incorporates non-linear exploration). Portal had defined enemy (obstacles really) patterns and it sounds this game will have a similar threat of enemies. Maybe they'll add more complex enemy AI types but if they want to release it this year, don't bet on it. I'll be keeping an eye on this. The clean white visuals look pretty neat imo, but I'm interested in seeing more. Not my type of game but hope the venture pays off for them. They're already on the right track taking inspiration from Prime especially with all the Ninty fanboys clamoring for another Metroid. Both games sound interesting, I look forward to more info and maybe some gameplay footage. Sounds promising. I will keep my eye out for it. @RancidVomit86 but this isn't a FPS? Sounds interesting. The Wii U could use a good T rated FPS, and if I get stuck, there's always GameFAQs. I like the fact that Nintendo finally have an exclusive fps for the Wii U but this although looks like it could be promising is not what I was looking for. I was hoping for something that isn't made on a budget and has some of that Nintendo charm. What about Mario Paintball? Wouldn't get your hopes up and why do people keep writing articles for this "company" they have promised games for the last 5 years, yea thats right, 5 and haven't delivered a single one. They are a bunch of students hoping to get onto nintendo and have never actually made a single game. Do your research before producing articles like this please you just get people's hopes up for nothing. They have changed their company name many times and are all talk. pixel entertainment, dead pixel entertainment, now they are just dead pixel lol.